Today, we’ll be taking a close look at the Thieye T5 Edge, which is a new budget 4K action camera from Thieye which has garnered a really good reputation after releasing the T5e. The T5 edge promises a lot of things for a very competitive price and it really does seem a little too good to be true. But is it actually that case, let’s find out! The T5 Edge comes with a basic set of accessories and because the accessories are made by their own native brand, it is really good quality and feels very solid. The accessories used are universal so it can be interchanged with say GoPro or SJCAM accessories if you were thinking of buying extra accessories. One thing that I don’t see very often is that it comes with anti-fog inserts which you can insert into the waterproof case to prevent any blur. 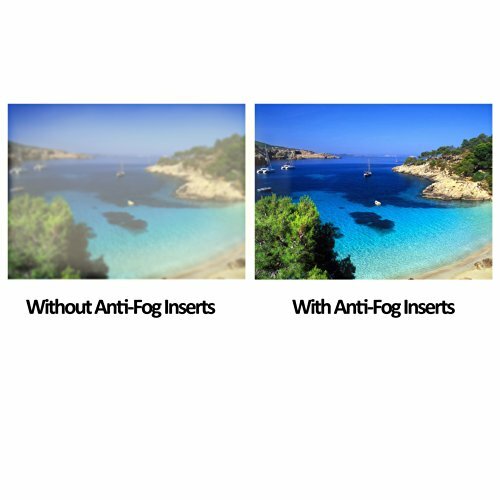 Really nice to have in cold or humid climates to prevent any fogs from building up. It also comes with Thieye’s signature 360-degree swivel mounts which I have to say are really useful and one of my favourite mounts to use. I’m sure you’ll immediately notice the versatility and flexibility when using this compared to traditional mounts. As for the remote, we’ll be covering more in-depth here. Also, if you’re interested, you can read the manual here. On the first touch, I can say the body certainly feels solid and well-built, buttons are responsive and the rubber finish to it makes it easy to grip and hold. The shape of the T5 edge is identical to the T5e in terms of dimensions and therefore accessories can be interchanged without an issue. Although the shape is similar to many action cams out there, it doesn’t work with other waterproof cases. On the front, you have this 4K wifi sticker that frankly looks a little weird to be there which I originally thought was a button of some sort, lol. On the bottom, you have a battery cover, and a ¼” standard tripod threat to easily mount it onto your selfie sticks or tripods. At the side, you’ll have your typical ports for charging, data transfer, etc: micro-sd, micro-USB and mini-HDMI ports. 4th indicator on the back. The indicators on this thing are outright nice because there are 4, located on every side. Hence, no matter where you are looking at it, you will always know whether it’s filming or on standby. Not to mention, it makes the camera look more aesthetically pleasing than many other action cams out there, especially with the top illuminating button. I found the interface to be very easy to navigate around despite not having a touchscreen as the buttons were very intuitive to use and the settings are also very neatly categorised into 3 groups, video, photo and camera (general). If I say so myself, this categorization is definitely better than lumping all into one big list such as the one found in T5e. Note: I’d just highlight the important few that’s confusing or unique to this cam. Exposure: Up to 60s which is very high for an action cam, really good for night photography, and movement shots such as waterfalls, traffic, etc. Remote Pair: On/off; to connect to the remote control (below). Overall, for the interface, I feel it’s one of the best I have used in this price range as it’s very user-friendly and stable as well. Because the camera is equipped with 2 microphones, it allows for wind noise reduction to work. It works by having a 2nd microphone and using information from it, the camera is possible to distinguish sounds from different directions, thereby being able to detect and hence remove the wind noise. This feature is especially useful in almost all outdoor situations so that what you want to be heard will be heard and wind noises and ambient sounds will be kept to a minimum. Overall, a really nice and well-needed addition to action cameras in my opinion. This feature is very useful to have to remove the fisheye distortion, which is something present in many action cameras. The reason why there is this distortion in the first place is due to the shape of the lens. Hence, when switched on, it digitally ‘unwarps’ the footage so you will end up with a narrower shot that’s more ‘straight’. Not something super common so it’s nice & useful to have. The remote control has 3 buttons, power, video and photo. I especially like it since they implemented indicators on the remote so you’ll know whether the camera is shooting directly from the remote rather than having to see from the camera. There are 2 remotes released by Thieye, of which the only difference is one has voice command and the other doesn’t. However, for connectivity wise, both remotes will work fine with the T5 edge. And if you thought of purchasing another, only the one that doesn’t have a voice command is available for purchase here (Geekbuying/GearBest). You would have to go to Camera settings>Remote Pair>On. The connection works quite reliably and most importantly easily because once you configure for the first time, it will automatically connect together again. The voice commands features are especially rare in action cameras and the only one that I can think of from the top of my head is GoPro action cams and Yi 4K but that’s probably not the price point we are looking for. Other than that, I can’t really remember any other off the top of my head. However, this is also not entirely the same as it’s done from the remote rather than from the camera in GoPros and Yi cameras. After testing it out for a while, it worked about 90% of the time, which I have to say is quite good but that was provided you speak directly towards it. Also, it was still able to pick my commands up even in a noisy environment. Frankly speaking, I thought this was a gimmick in the beginning before reviewing this but after doing so, it really does work and I’m really impressed by it! The newest feature of all is the live streaming update! I know the most of you wouldn’t be hyped about this feature as you aren’t planning on using the live streaming feature but it’s a really great tool to let your family and friends watch what you’re up in real time during your once in a lifetime moment! Click here to get started using the Thieye live app here! All in all, the remote functions really well and is definitely a nice addition to the camera and the voice commands feature is also pretty unique as well. There are 2 Thieye apps. For the T5 edge, you’ll want to download the Thieye Cam as the other app (Thieye Action Cam) is for those older cameras such as T5e, i60, etc. Afterwards, you’ll need to connect it using your phone. For Android or older IOS devices, this feature has not been implemented so you would have to do it the traditional way of going to your WiFi settings and manually connecting to the camera’s wifi. If you have an IOS (IOS 11 & above only) device, there is actually a quick and nifty way to connect it. All you have to do is scan the QR code on the camera’s screen (default app) and press connect when the prompt appears to connect camera’s wifi. The app is really neat and organised and most importantly really easy to use. Apart from this, you can also directly download the footages to your device, which will come in handy when you’re on holidays where you don’t have your computer with you but you want to share it on your social media. Also, there are several editing features if you want to quickly edit your videos and share it on your social media. The only issue I had with it is that not all the settings on the camera are on the app so it made it a little inconvenient to adjust those specific settings. However, all in all, I think the app’s pretty good compared to many other action camera apps as it’s easier to use and the quick connection (QR code) is something really nice to have. The T5 Edge is able to take up to 4K 30fps, but as it takes up quite a lot of space, I have used mostly 2.7K for shooting most samples. As you can see, I felt the footage to be really great it has a wide dynamic range (high bright and dark contrast), colours were saturated, details were also sharp (2.7K & 4K). The only caveat of video shooting is that its 1080p resolution kind of looks like it’s stretched from 720p, is honestly really bad. I’m not sure why but this phenomenon is actually quite common especially in cheaper 4K action cameras. Hence, if you’re planning to mainly shoot in 1080p, you might want to either consider filming in 2.7/4K or get the T5e. But otherwise, everything is really good. This is a sample released on the Thieye website. From this, we can immediately see that T5 edge’s quality is on par with both of the flagship action cameras, the Yi 4K+ and GoPro Hero 6 Black. But I’m not really sure whether there’s any post-processing to make the T5 edge look any better as it’s produced by Thieye after all. The T5 edge is able to take up to 14MP photos and it’s pretty sharp but if you were buying this primarily to take photos, I will recommend other cameras such as Mijia 4K or Yi Lite. If I were to compare with cameras at this price range of above $100, I would say its quality is pretty good for something for this price range, but definitely not the best I’ve seen. The Thieye T5 edge is in many ways an upgrade to the former T5e (wind noise reduction, neater interface, voice-controlled remote, 4K stabilization, 2.7K and 4K), however, it still falls short in a few areas such as 1080p shooting, audio quality and high frame rate shooting. This comparison is way harder because I have not tested the E7 yet, but if you compare these 2 cameras directly from the specs, it really looks entirely the same, it can take 4K stabilized videos, shoots 14MP photos and everything on the T5 edge is there on the E7 except for the wind noise reduction. Another thing is it doesn’t come with the voice-controlled remote control so it’s slightly cheaper. Other than that, both these cameras are identical, even down to the chipset and image sensor. Read more about the E7 here. All in all, the T5 edge is a really great all-around budget 4K action camera and in my opinion an upgrade to the Thieye T5e which was one of my favourite budget action cam. It has solid build quality from the accessories all the way to the camera, image quality is superb as well with its wide dynamic range, stabilization works up to 4K. The remote control is also very useful to have especially during holidays because you can simply mount it on your selfie stick and never have to touch it again. If you’re looking for a budget 4K action camera, I’m definitely recommending the T5 edge as you really can’t go wrong with it. The T5 edge in whole is really nice to use and also comes with everything you’ll need for your next vacation (mounts, case, pouch, etc) so you don’t have to buy anything else, except for a micro-sd memory card if you don’t already have one. This comes to the end of this review! I will be doing a complete comparison with other action cams soon to determine the best action camera at the price range of about $130, including Mijia 4K, Explorer K and Explorer 3, so be sure to stay tuned! If you’re in doubt for which action camera to buy or have any questions or would like me to make a comparison, review, tutorial, please feel free to leave a comment down below! Action camera are the trend now but I would choose to buy this because of its good features. What I like most is the microphone on the wrist remote control and how I can mount it on my bike helmet and go biking off the road, capture things going on around me. I have a GoPro camera, and using it is kind of new experience for me One feature that caught my eye is the water proof case. You can use it to go 40 meters down below water and be able capture video. That is fantantic! I want to get a camera for my mother and I needed a camera which has user friendly interface and this one seems to have that. And wind noise always bothers me and the reduction of it has vital importance since my old camera just could not do that. I think Thieye will be a thoughtful birthday present. Can you share the latest firmware here? Looks like the T5 has more natural colour and light than the T5e, which on the sample vid is all brown and washed out , like too high saturation. Very bland colour and contrast. For a natural looking picture the T5 is a clear winner. The EIS definitely works on the T5e , but based on the sample T5 is the preference. Which begs the question, if it’s ‘exactly the same chipset and camera’ why are the images so different?